Apple’s status as the only public trillion-dollar company didn’t last long. Amazon has been flirting with a $1 trillion market cap throughout trading on September 4th, passing the symbolic milestone in the morning. It reached the figure through a relatively recent surge, CNBC pointed out. While Apple reached $900 billion eight months earlier, Amazon’s stock price has been climbing steadily throughout most of 2018 and has thrived since a record-setting Prime Day in July. 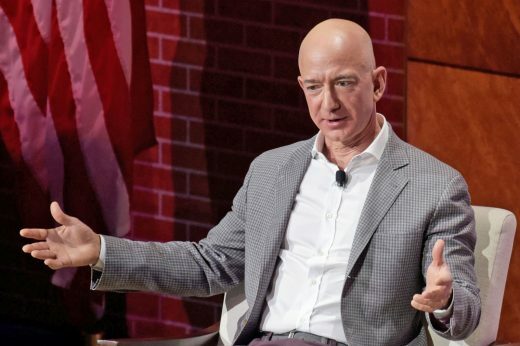 It’s not hard to explain why: Amazon has its fingers in many pies, and it’s successful in most of them. On top of its centerpiece online store, it has a thriving cloud services business that includes the likes of AWS, Alexa and Prime Video. It’s rapidly expanding its hardware offerings, and you can’t ignore the value of Whole Foods. This is a company that’s not only doing well in its core businesses, but regularly hedges its bets. Not that everyone will be celebrating. Amazon has faced numerous strikes and other complaints from warehouse workers unhappy with low pay, dangerous working conditions and strict monitoring. Staffers have also complained about questionable technology sales, and there have been ongoing concerns about anti-competitive Kindle book pricing. The company’s meteoric rise from a simple online bookstore to a trillion-dollar tech giant was no mean feat, but it might have come at a steep cost.